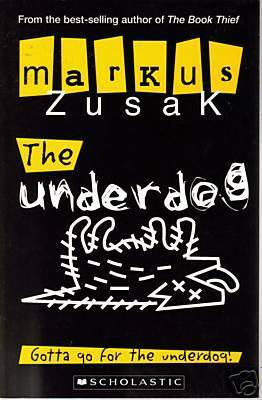 I like some of Zusak’s other books so I thought I’d give this one, aimed for a younger reading age, a try. It is very short, a mere 139 pages and very easy to read. Much like the blurb reveals, it is the musings of a teenage boy faced with the inevitable challenge of growing up. To be truthful, not much happens, but it is an interesting insight into the mind of a 14-year old boy. Cameron’s inner thoughts explore issues of lust, love and dating and contemplate the complexities of families, change and pain. What I really liked about the novel, what that the episodes of real life are intercut with descriptions of dreams that he has. It gives the book a unique voice and a layer of symbol and imagery that provides depth. Not bad, very much an Australian coming of age book for a teen (13 – 16) audience. 3 stars.